ABOUT: A troubled child summons the courage to help a friendly alien escape Earth and return to his home world. LIVE MUSIC: Visit www.streetfoodcinema.com/e-t/ for the most current Live Music listing! 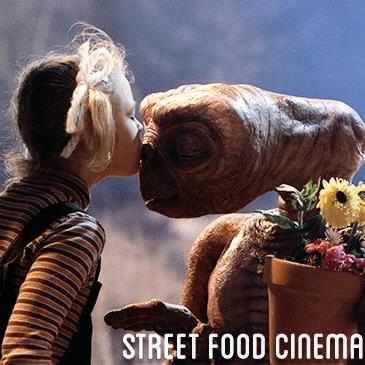 FOOD TRUCKS: Visit www.streetfoodcinema.com/e-t/ for the most current Food Truck listing!